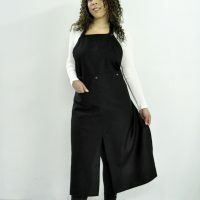 Long square neck apron that unsnaps at the waist so you can wear just the bottom or the whole apron. Adjustable neck snaps and waist ties. Double needle stitching on the neck straps for stability. 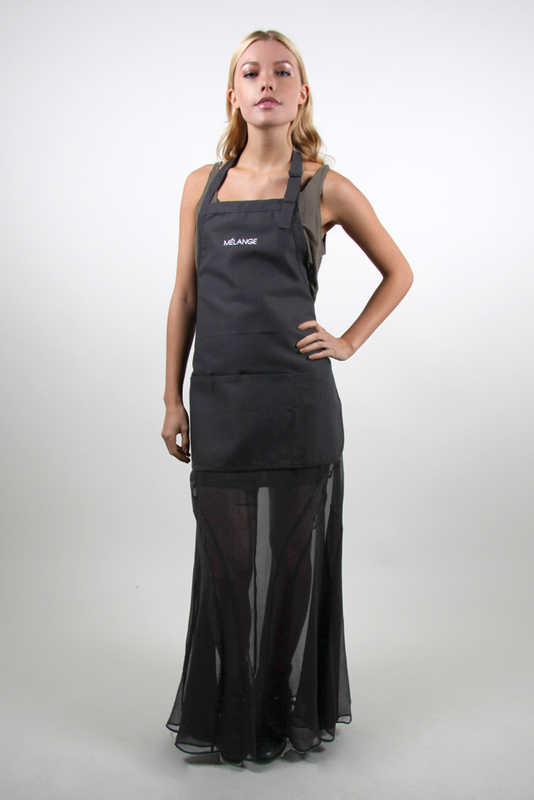 Tops and bottoms can be interchanged with other 600 series aprons. 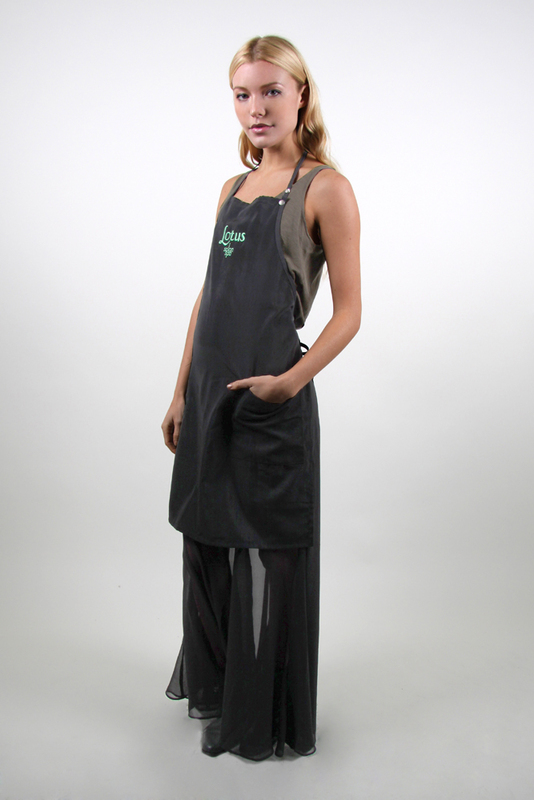 Made in our exclusive Centura fabric that is color safe , water and bleach proof!